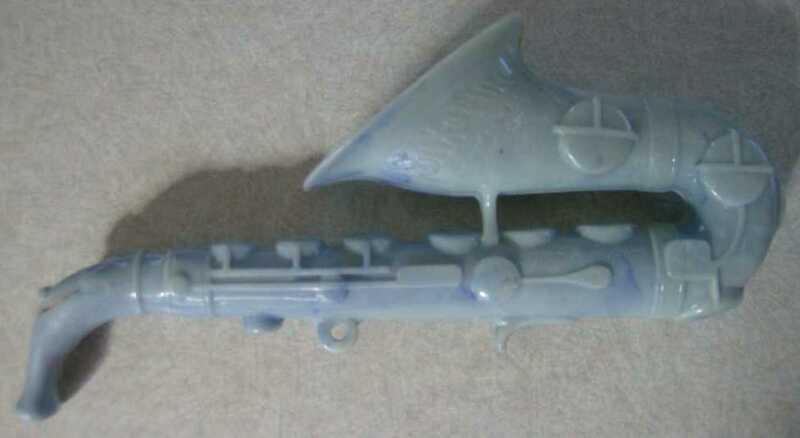 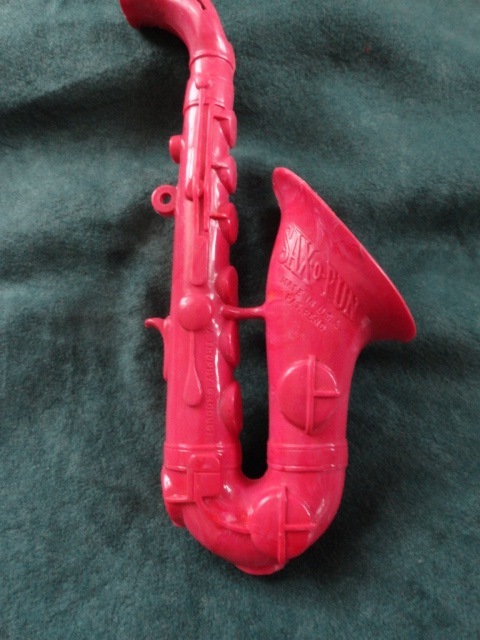 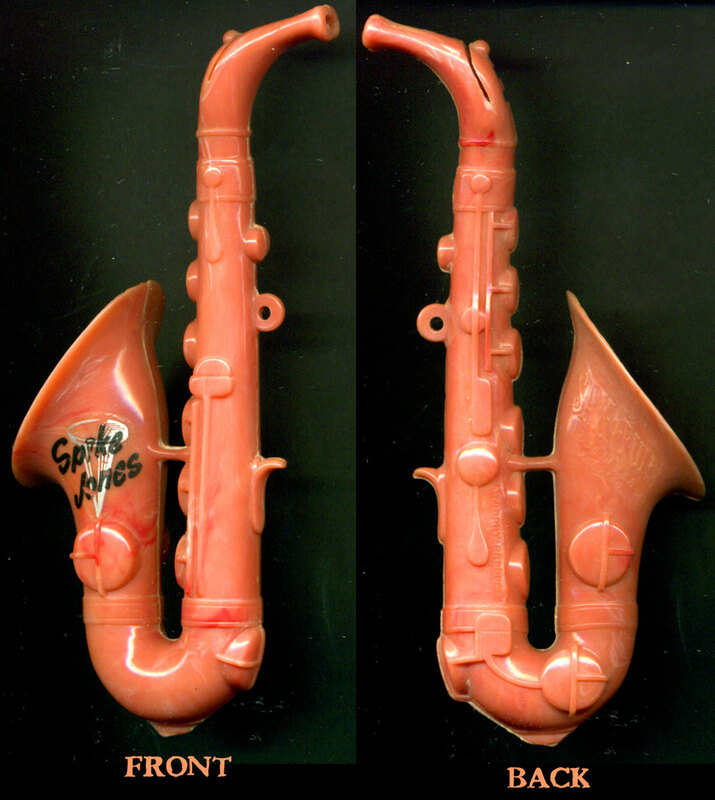 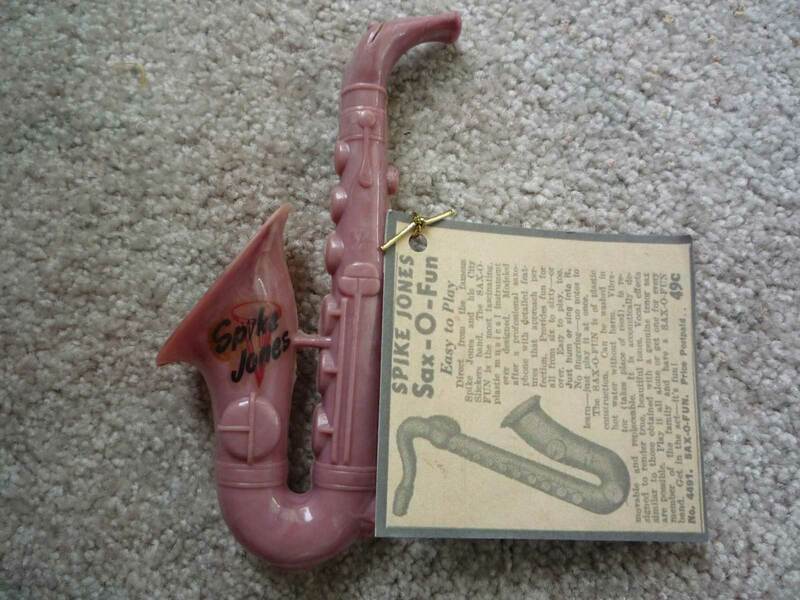 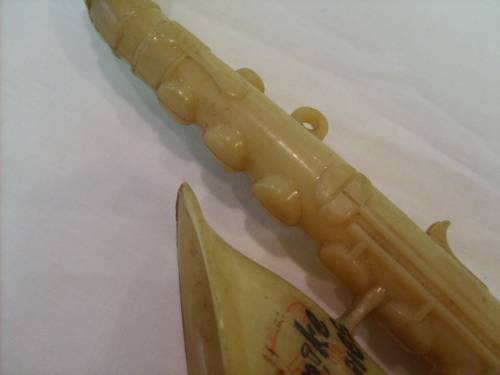 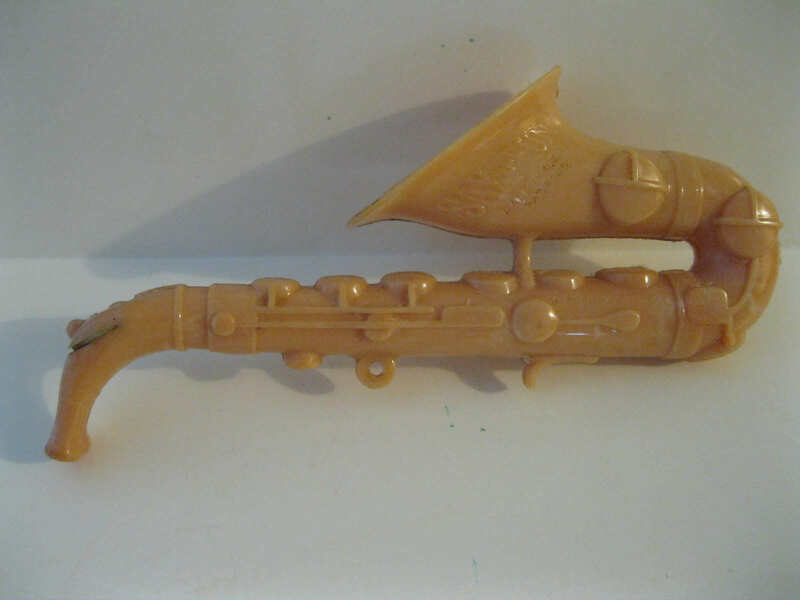 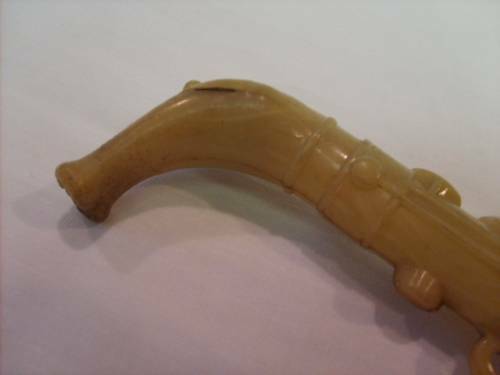 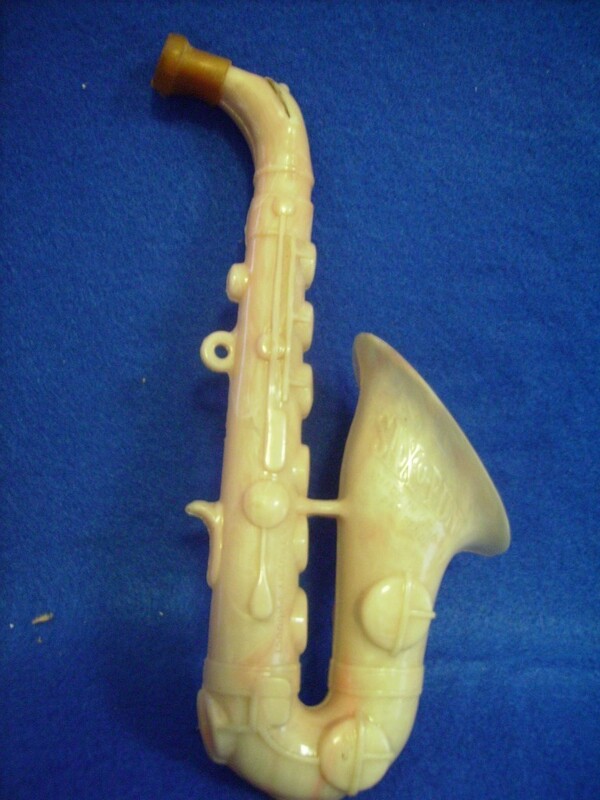 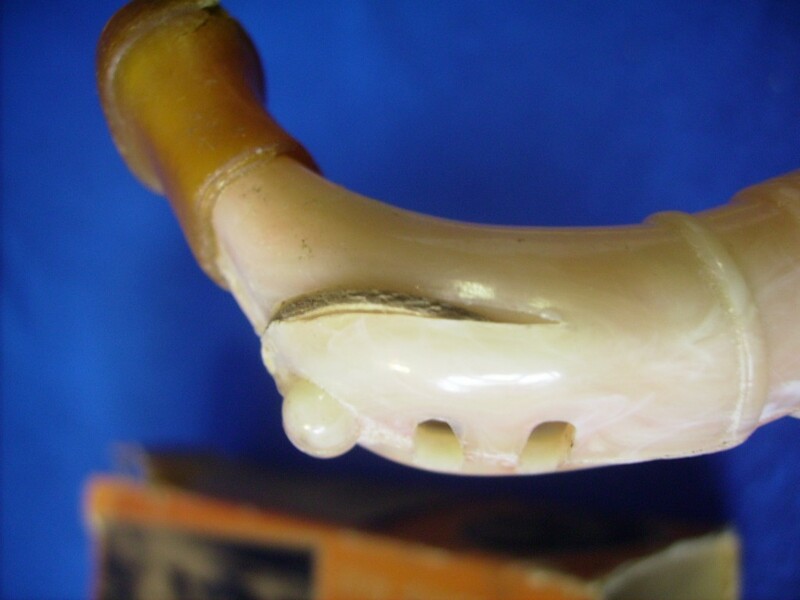 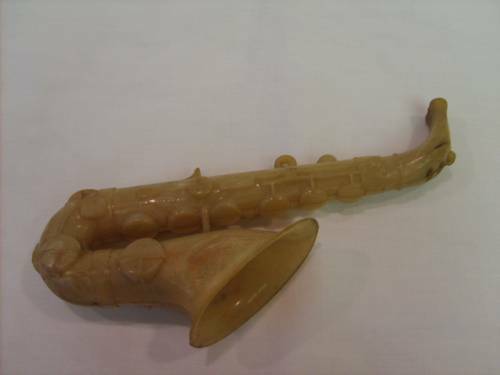 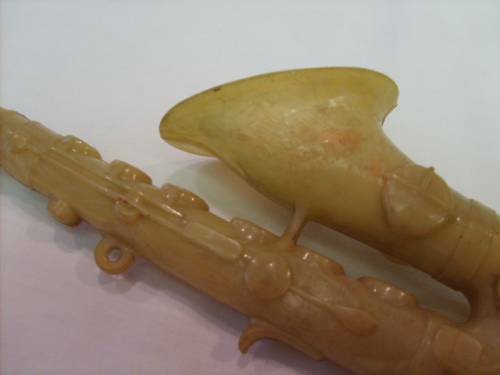 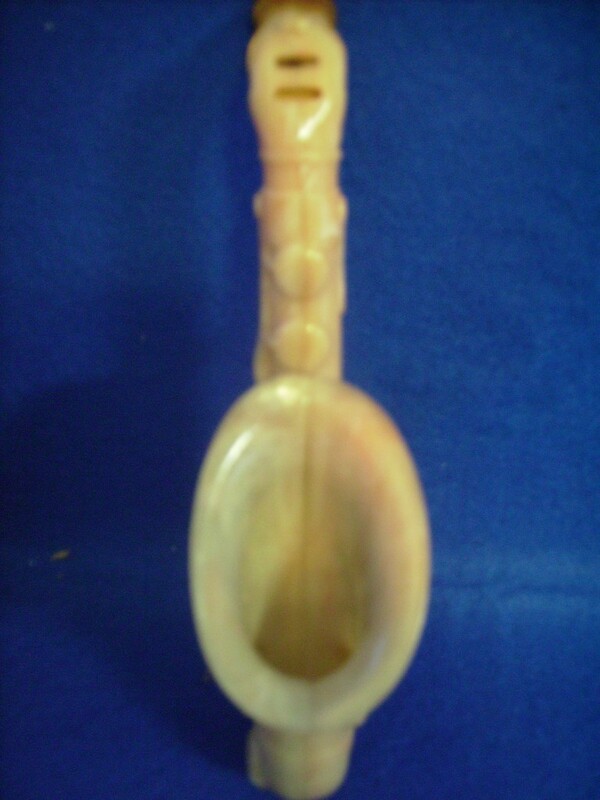 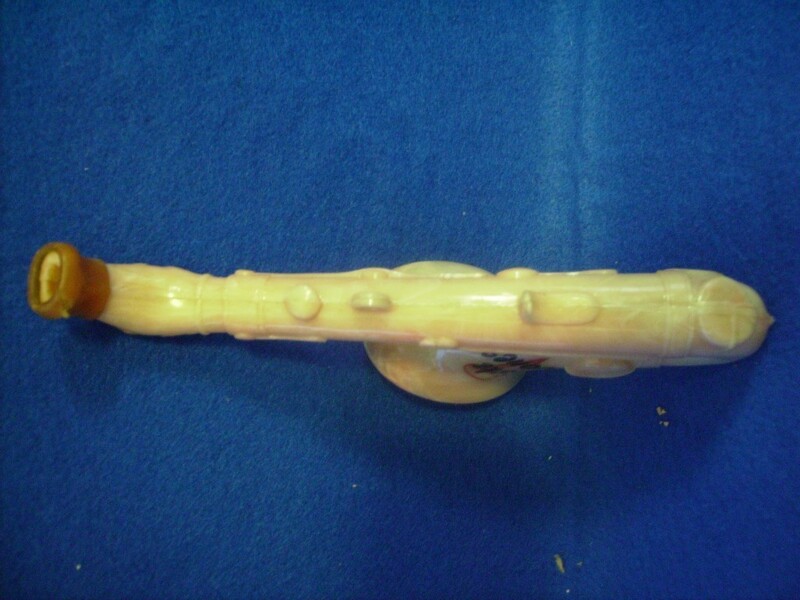 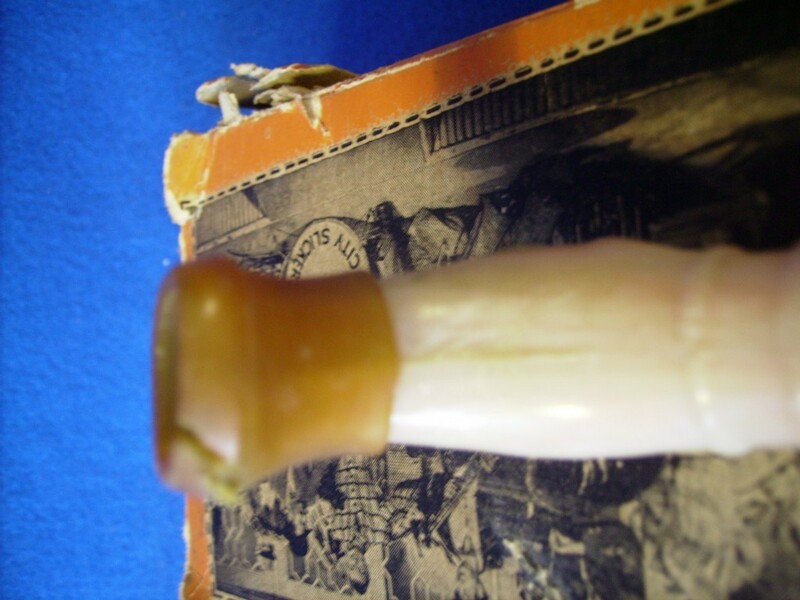 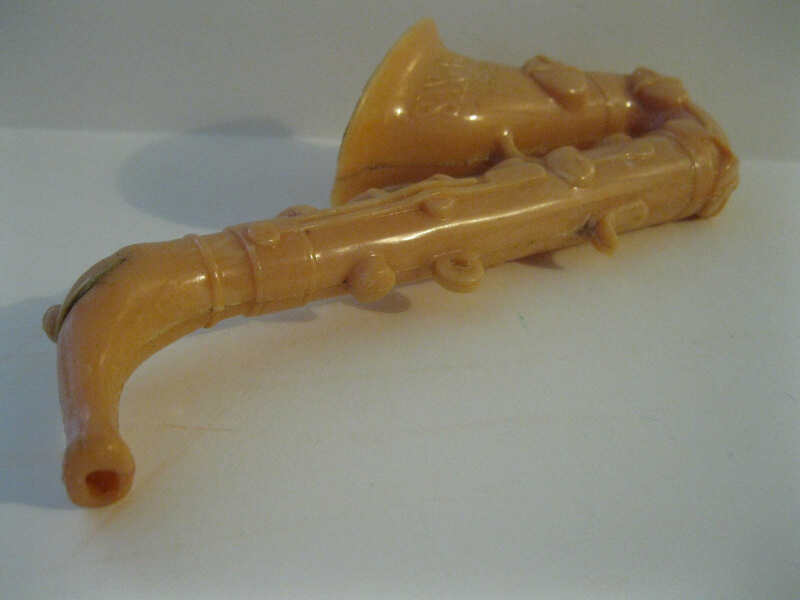 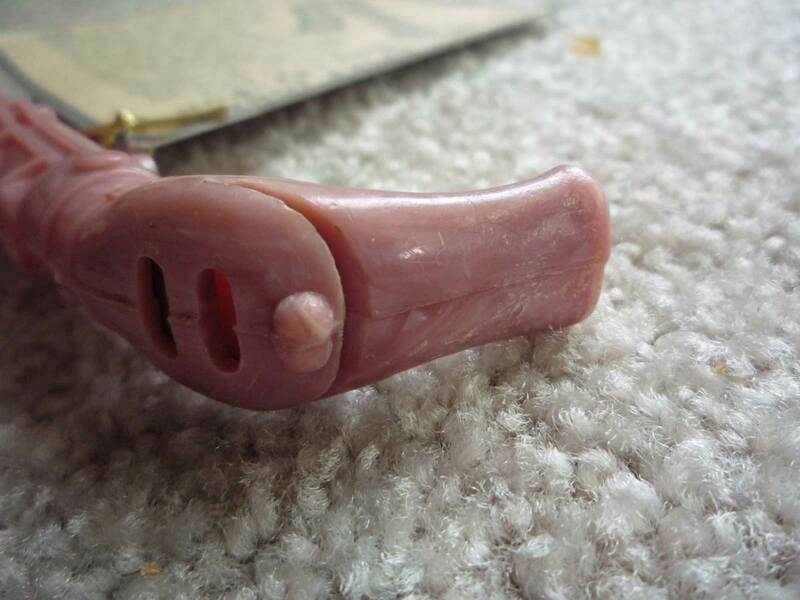 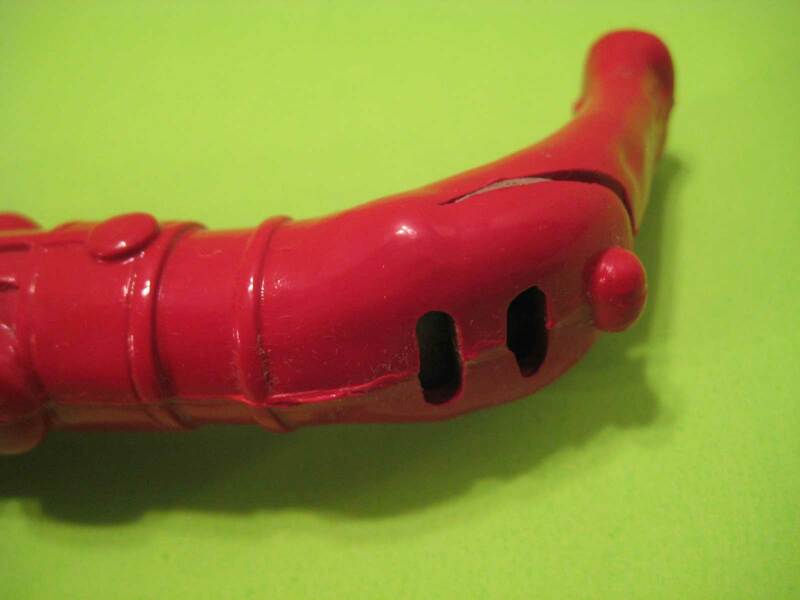 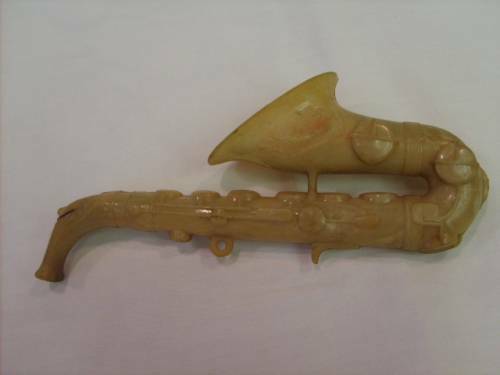 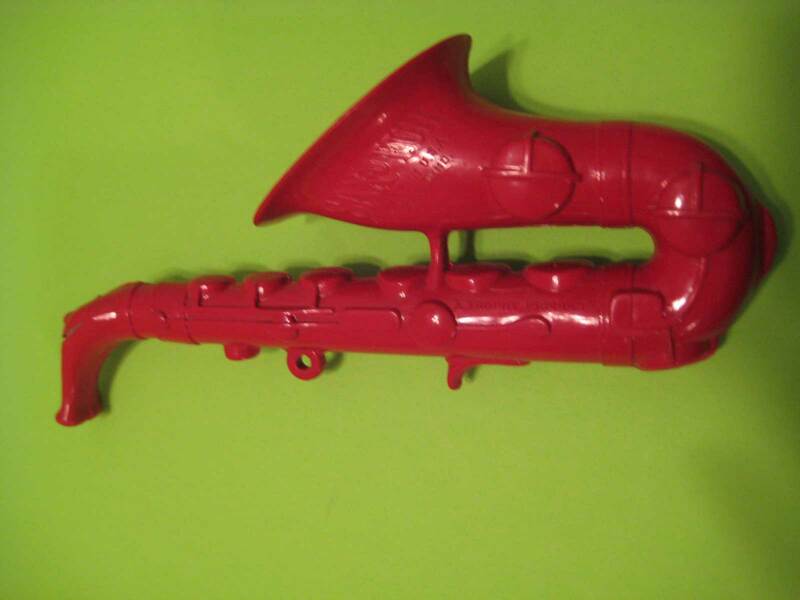 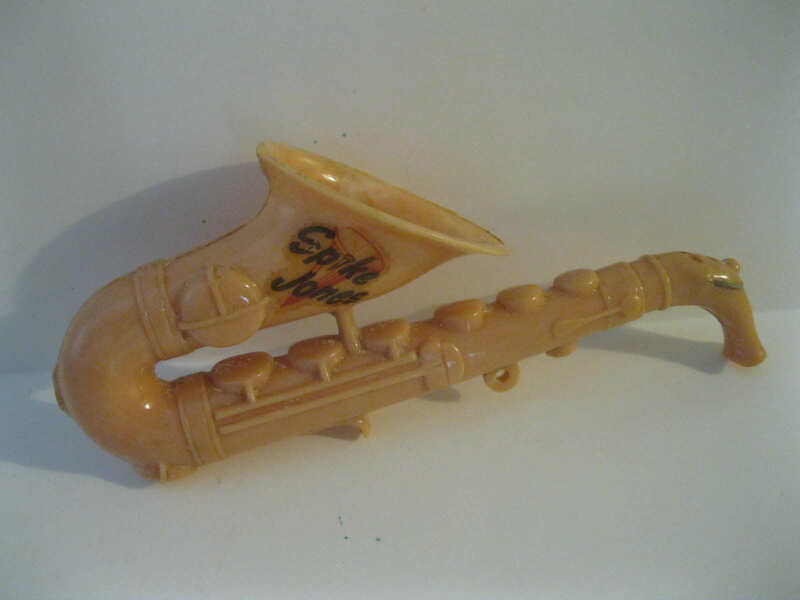 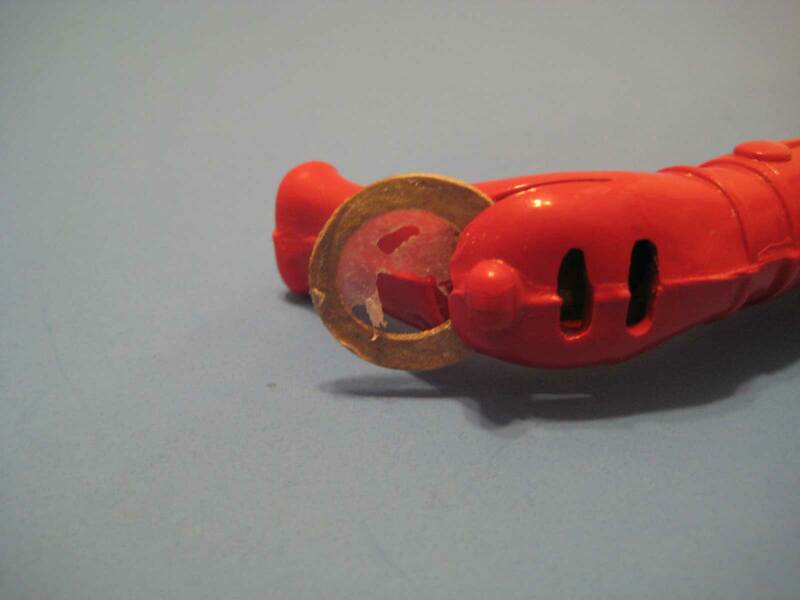 It was in September 2011, that I first saw this interesting, 7½”, toy saxophone collectible. 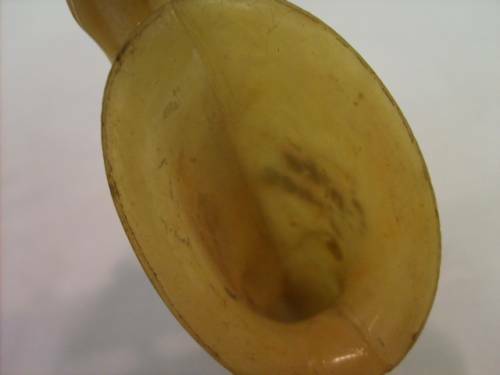 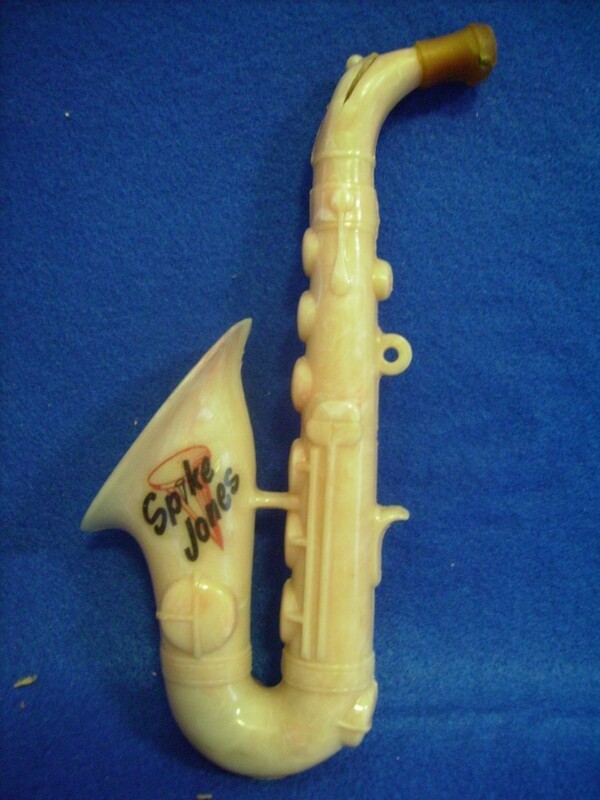 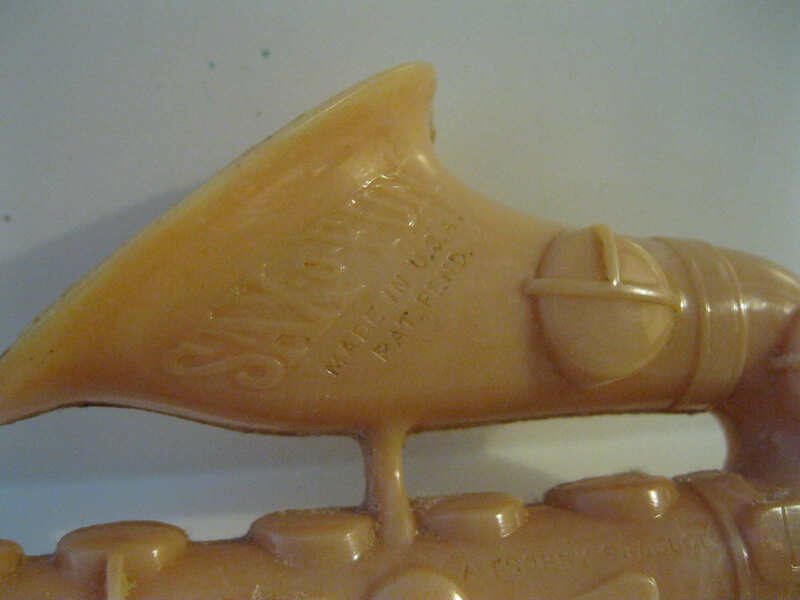 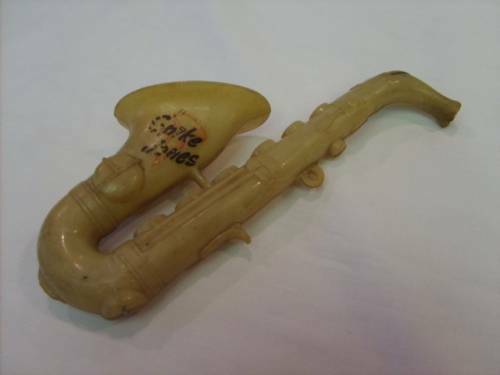 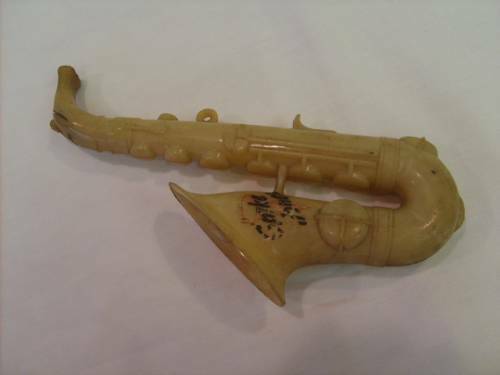 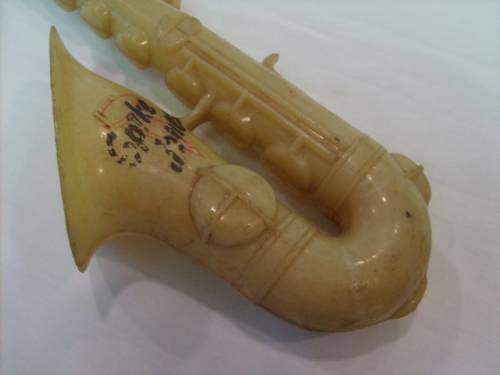 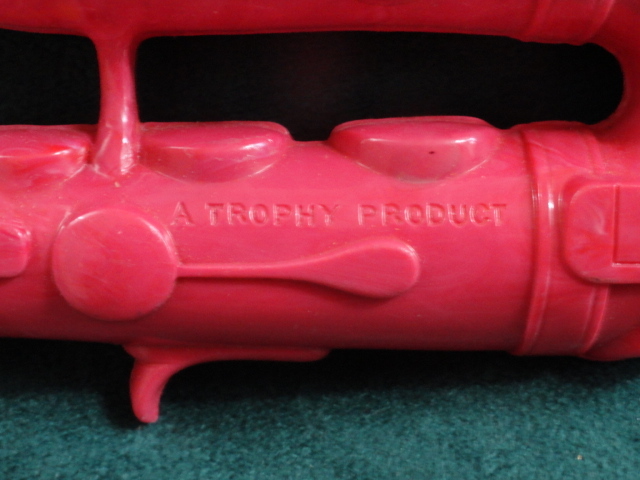 The Spike Jones toy sax is likely circa 1940s, and draws its name from the popular musician and band leader. 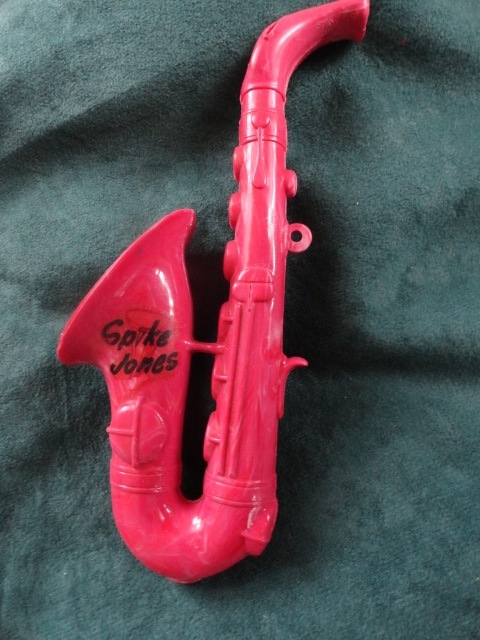 Spike Jones and his City Slickers were known for their performances of popular songs in satirical arrangements, “punctuated with gunshots, whistles, cowbells, and outlandish vocals”.¹ I wonder if they used this type of toy in their performances to generate some of the unusual sounds? 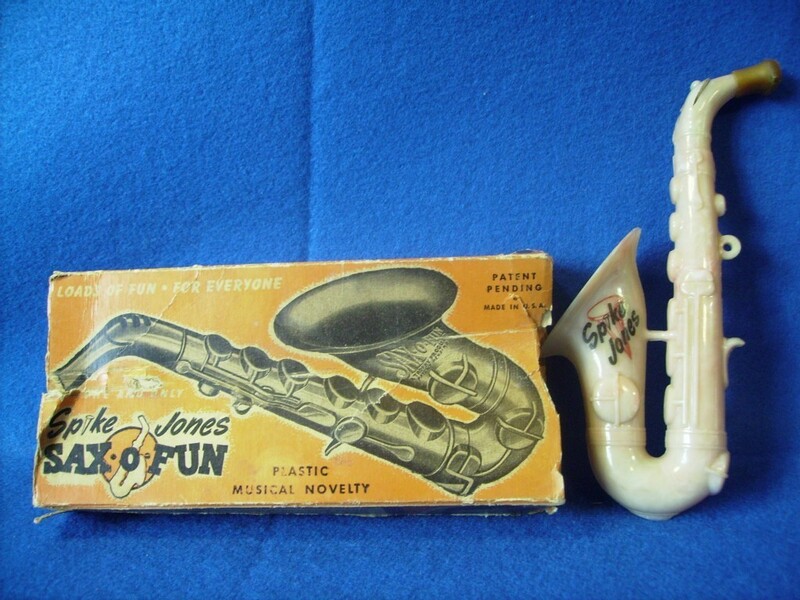 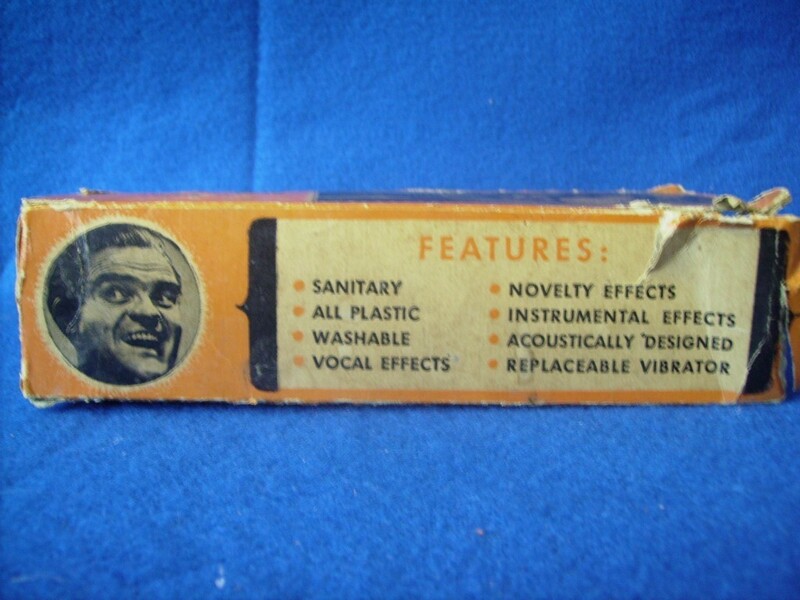 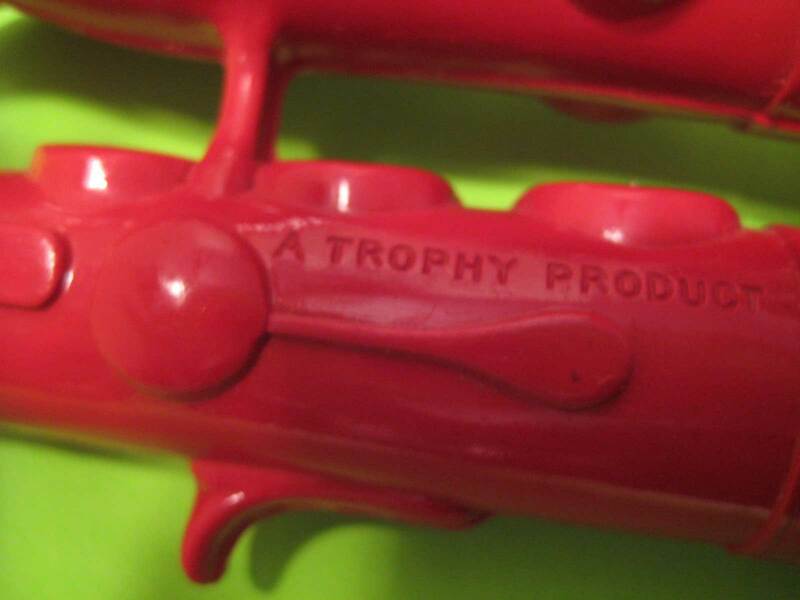 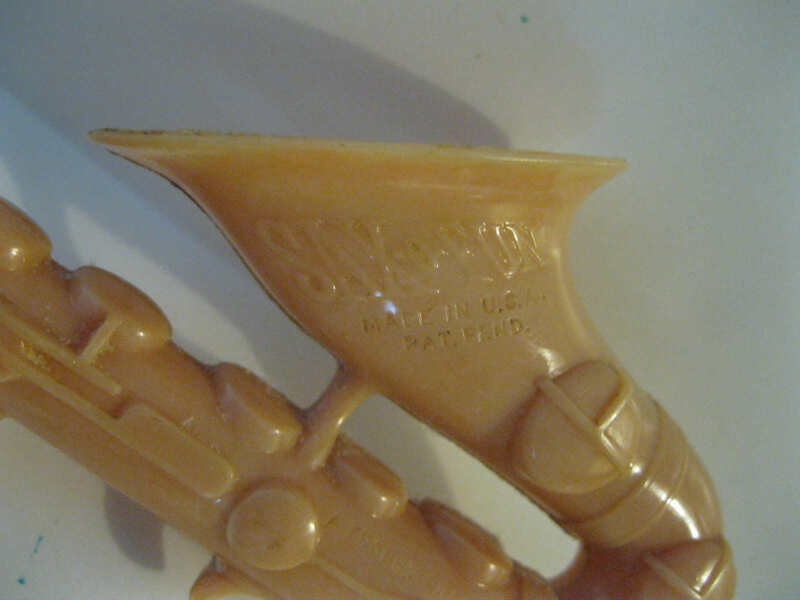 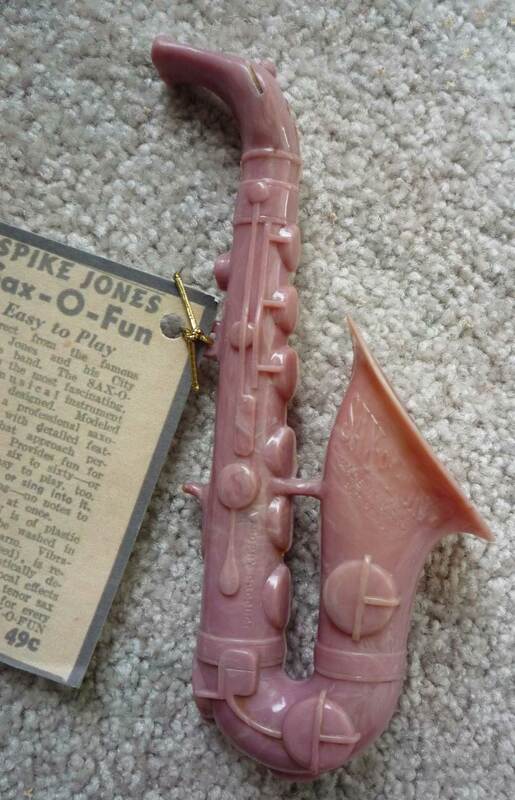 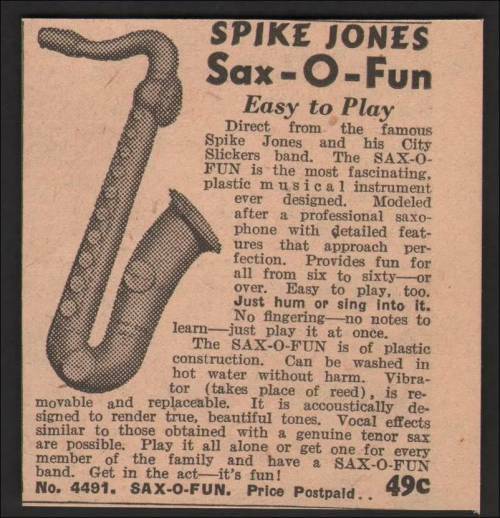 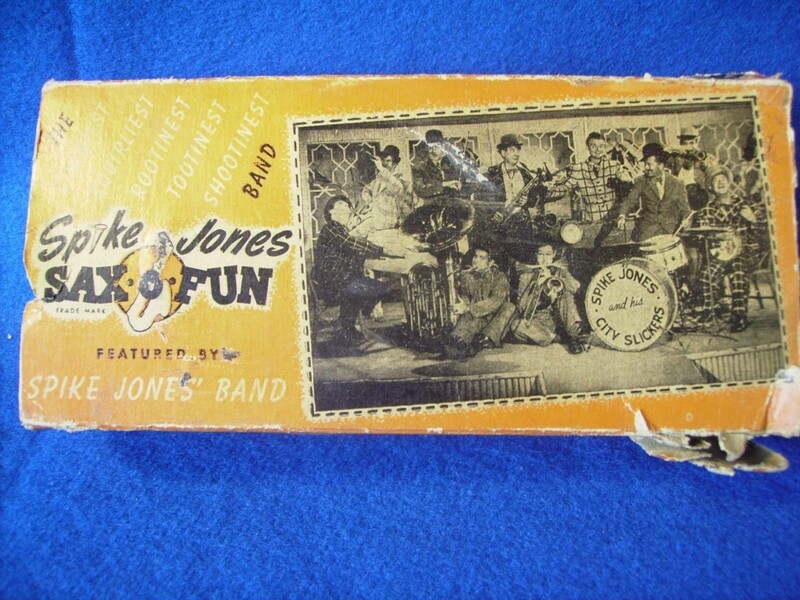 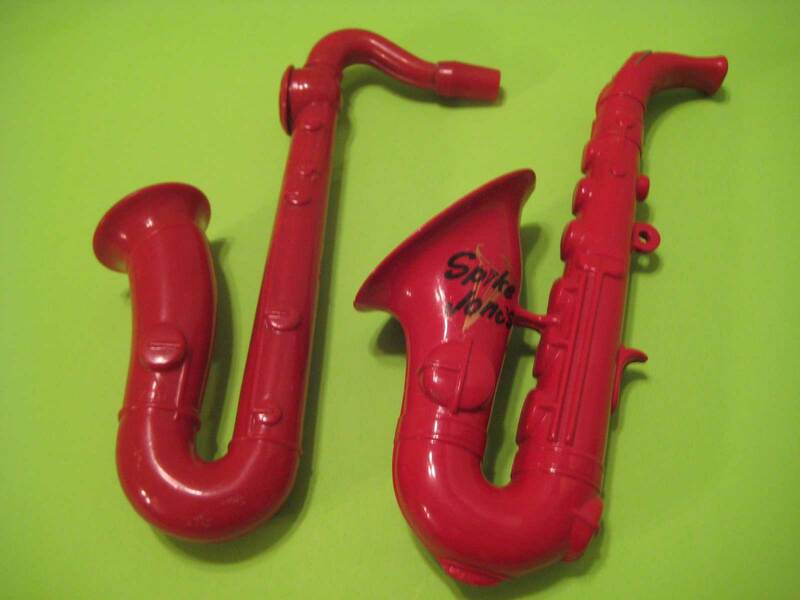 Although the eBay toys I’ve seen to date are not identical to the the photocopied ad version, it is clear that Spike Jones allowed his name to be used on toy saxophones of both the alto and tenor variety. 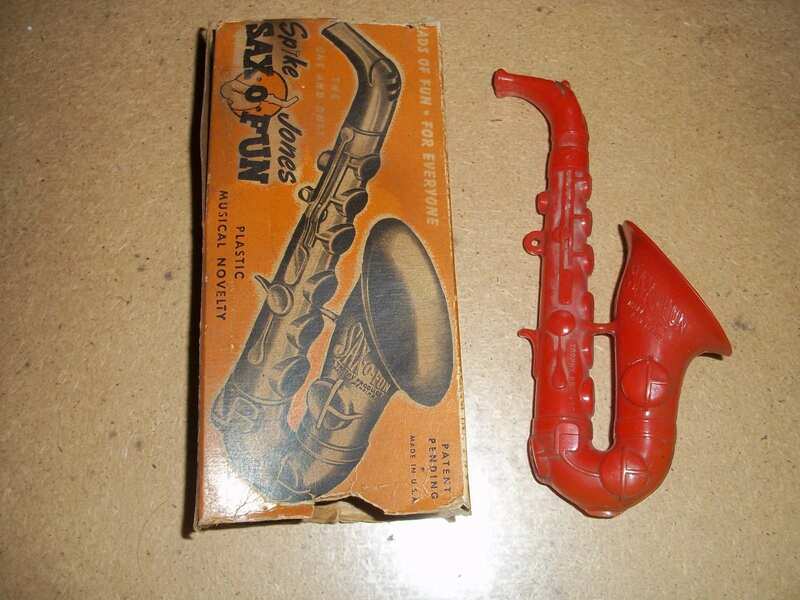 What a lot of SAX-O-FUN. 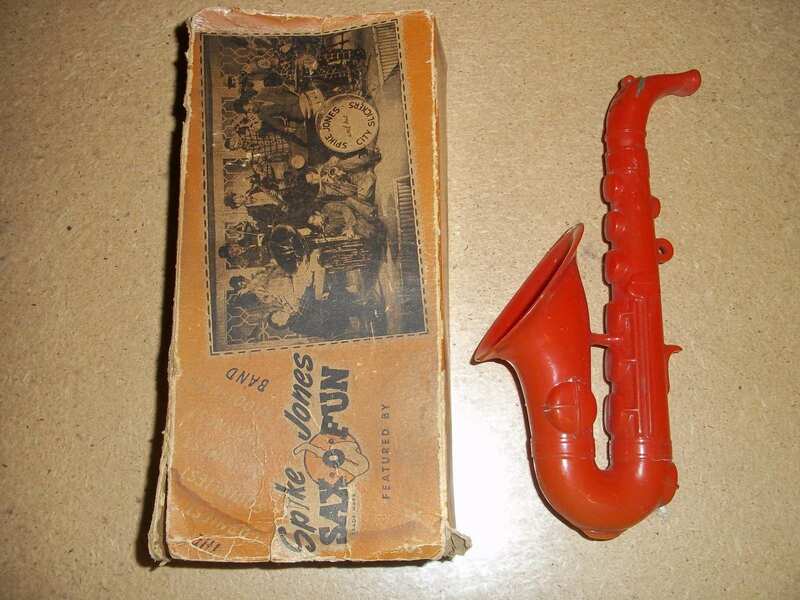 Almost a year to the day that I saw the above Sax-O-Fun, one popped up on eBay that still had its original box. 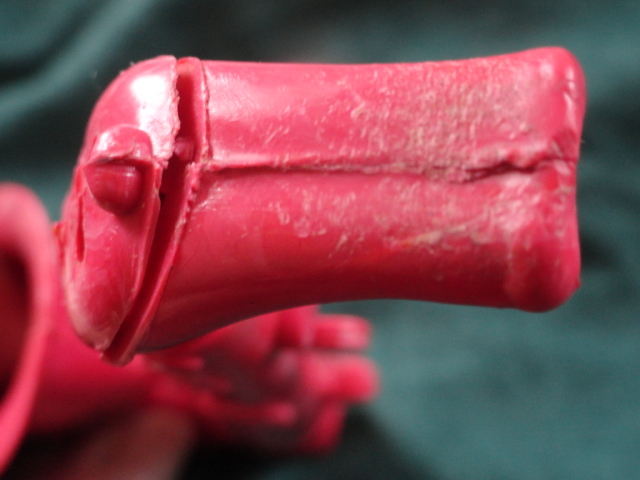 And another shade of red. 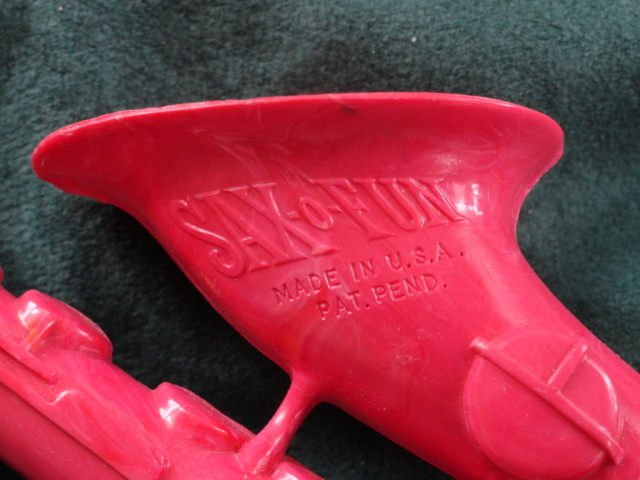 This Sax-O-Fun came with a Sax Zoo tenor-style in the identical colour. 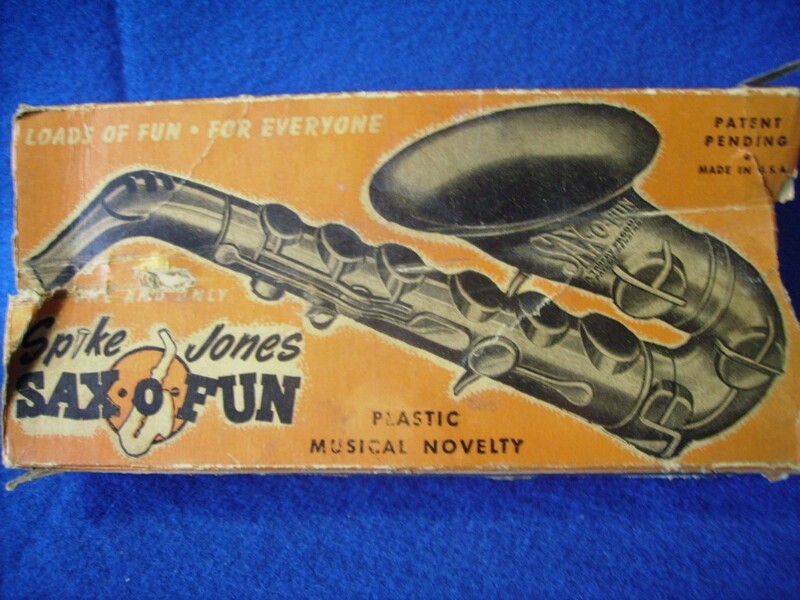 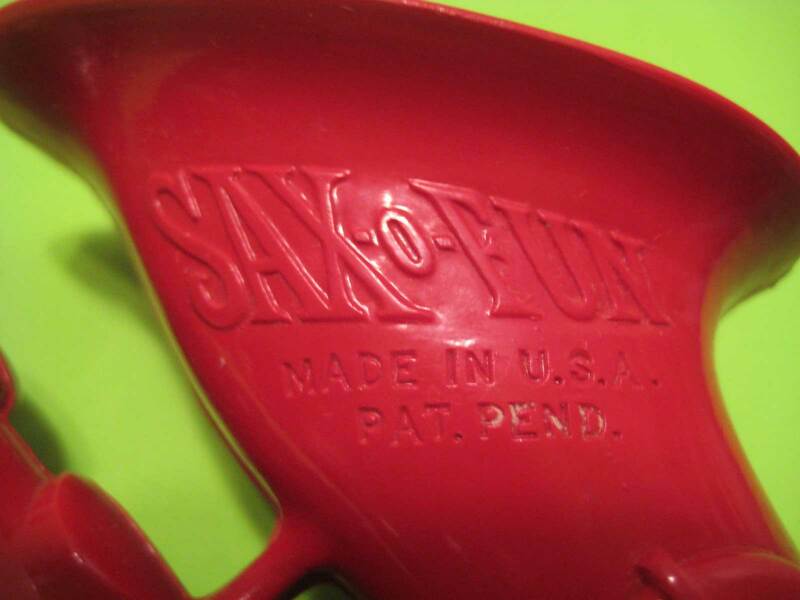 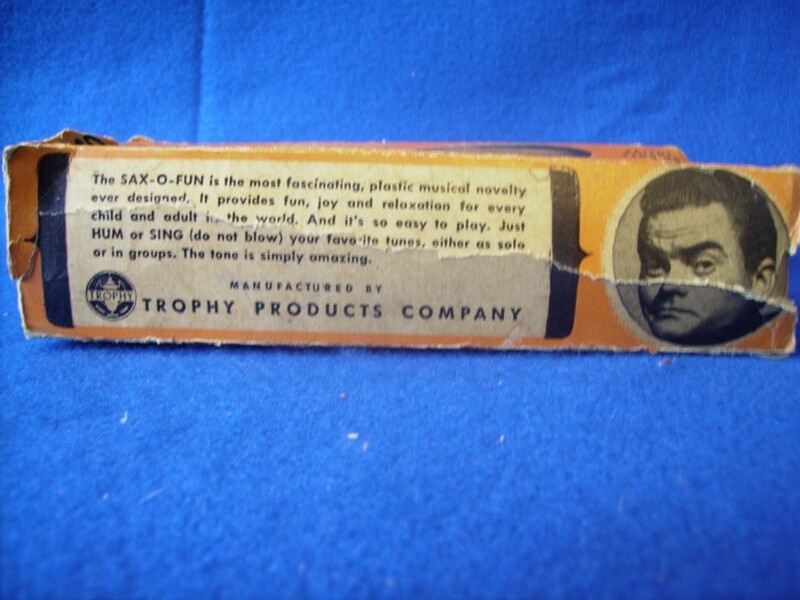 Note that the Sax Zoo has the same tenor sax shape, and has the same kazoo-like front, as the toy instrument in the Sax-O-Fun ad pictured above. 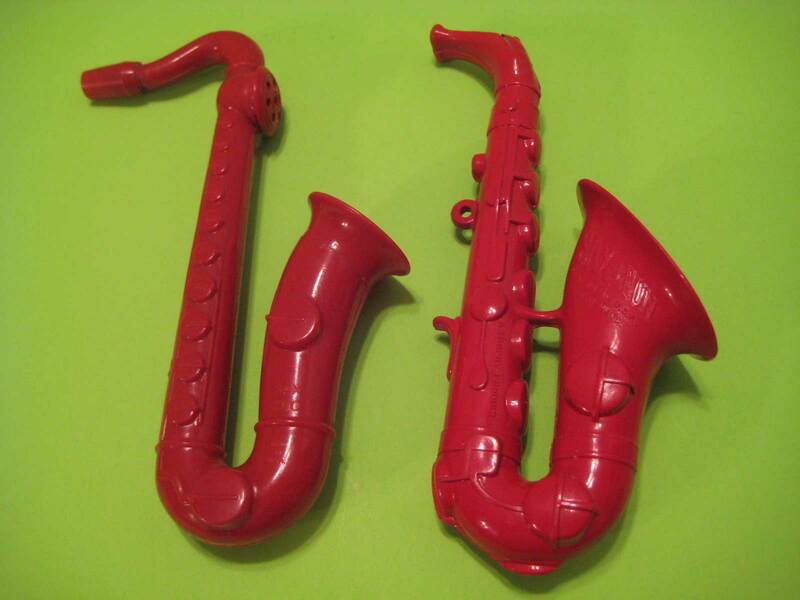 At this point I am assuming that this Sax Zoo is actually also one of the Sax-O-Fun series of toy musical instruments/noise makers, and therefore it is not a coincidence that these two instruments are the identical colour. 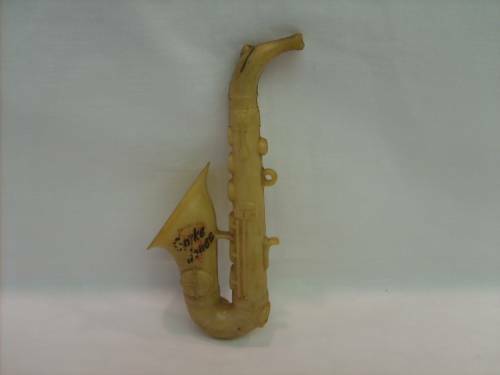 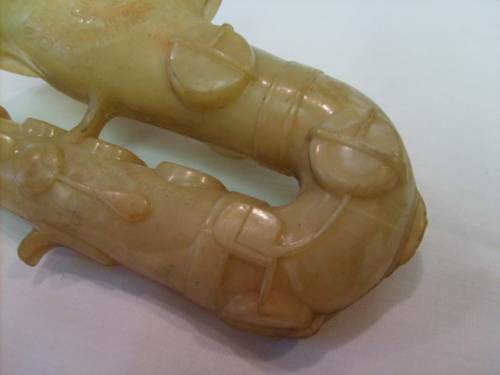 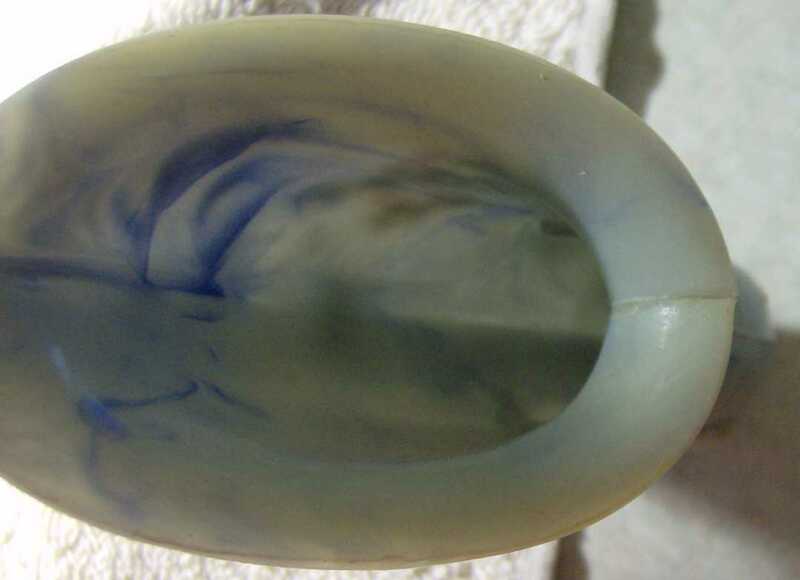 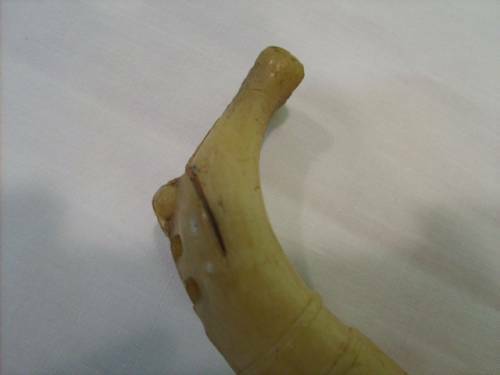 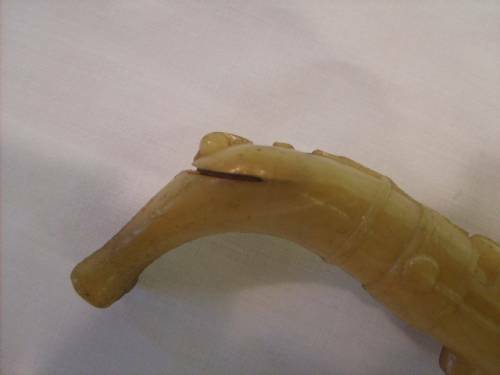 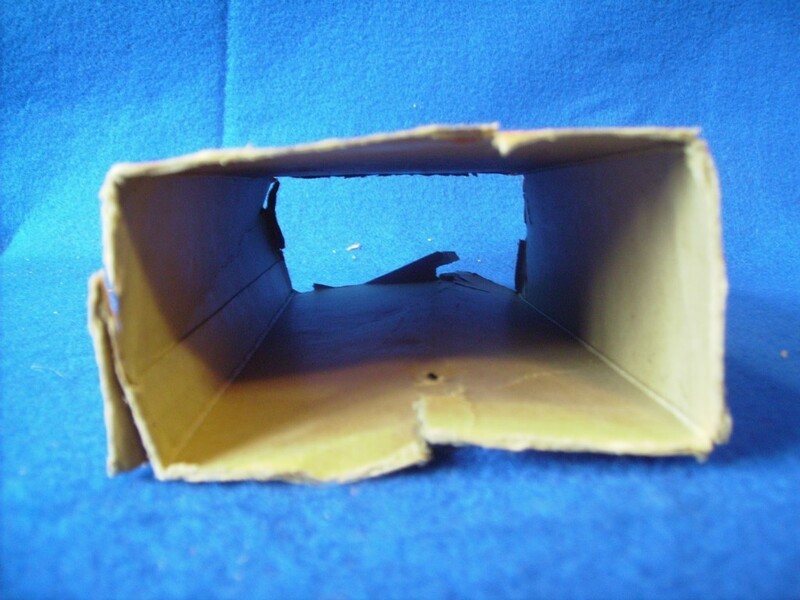 To see more photos of the Sax Zoo, check out the its page under the Plastic category of Sax Shaped “Things”. 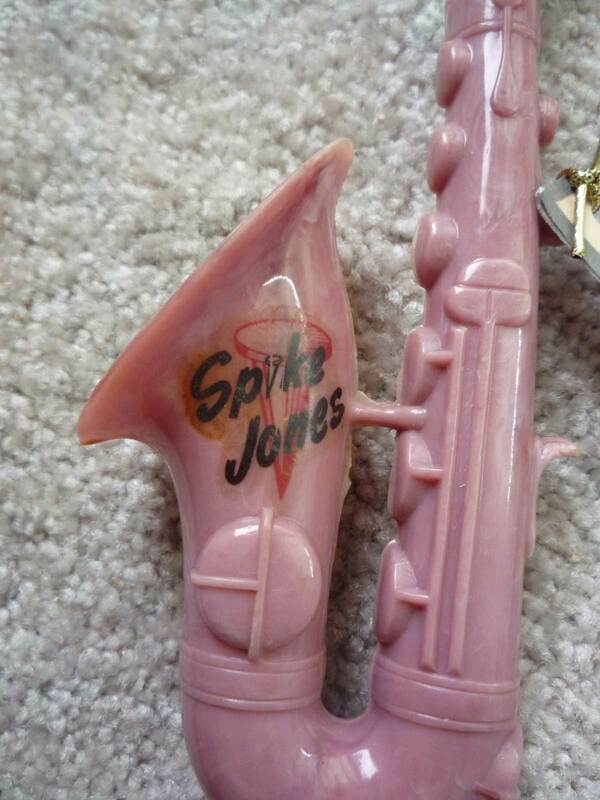 ¹ Source: Wikipedia page on Spike Jones.